In the Araṇyakāṇḍa – the third book of the Rāmāyaṇa – dramatic events occur during the years of Rāma’s forest exile. Rāvaṇa resolves to destroy Rāma by kidnapping Sītā. In order to do so, Rāvaṇa calls upon Mārīca for help. Mārīca thus transformed himself in a golden deer (‘kidang mas’) in order to attract Sītā’s attention, while at the same time luring Rāma off into the forest. Rāma told Lakṣmaṇa not to leave Sītā whilst he was away. However, Sītā becomes so fascinated by the Golden Deer, and asks Lakṣmaṇa to catch the wonderful animal for her. Thus, at Sītā’s urging, Lakṣmaṇa disregards Rāma’s orders and leaves her to catch the Golden Deer. At that moment, Rāvaṇa appears in the form of an old and wise ascetic, and asks Sītā for food. Before Rāma left, he drew a circle around the hut in which Sītā and Lakṣmaṇa stayed; they both were not allowed to cross that line at any time during Rāma’s absence, for this circle functioned as a magical means for protection against the demons. Rāvaṇa, however, manages to persuade Sītā to hand over some food to him, thereby she crosses the line of the magical protection circle. And thus Sītā got kinapped by Rāvaṇa, who escorted her to his Kingdom in Laṅkā. 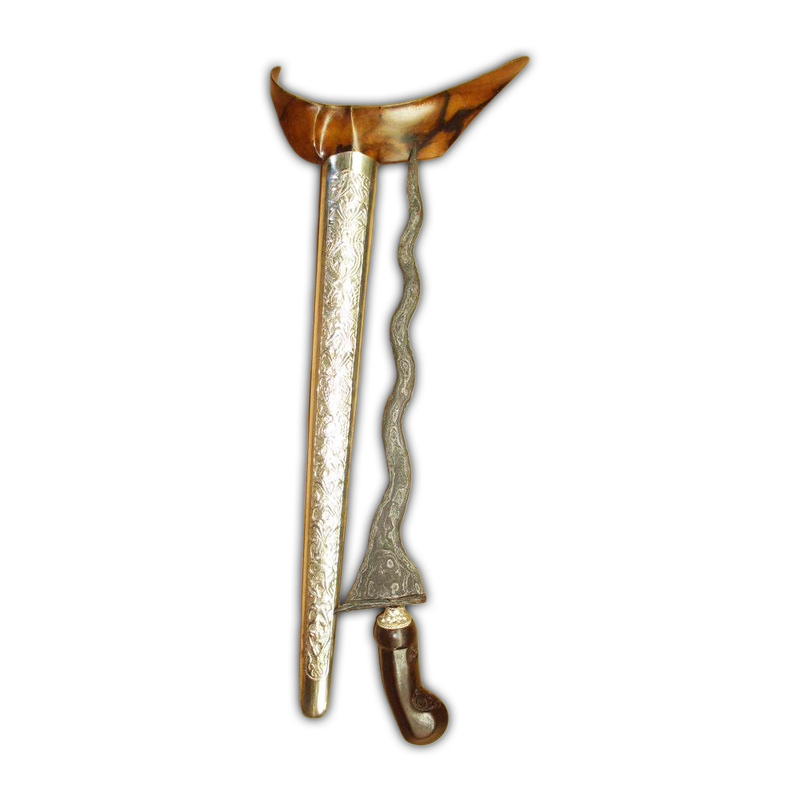 The story above is perfectly in line with the philosophy of a keris with nine waves (luk 9), which teaches man to constantly remind himself to control the nine holes of the human body. Since these holes represent carnal desire, one can thus recognize the utmost importance of practising self-restraint. The person who constantly strives to control the sensual desires, will eventually become a wise man, capable of realizing higher spiritual attainments, and thereby experiencing profound happiness. Furthermore, due the powerful combination the nine waves and the Wos Wutahpamor pattern on the blade, this delicate heirloom keris is also an important symbol of prosperity and good fortune. 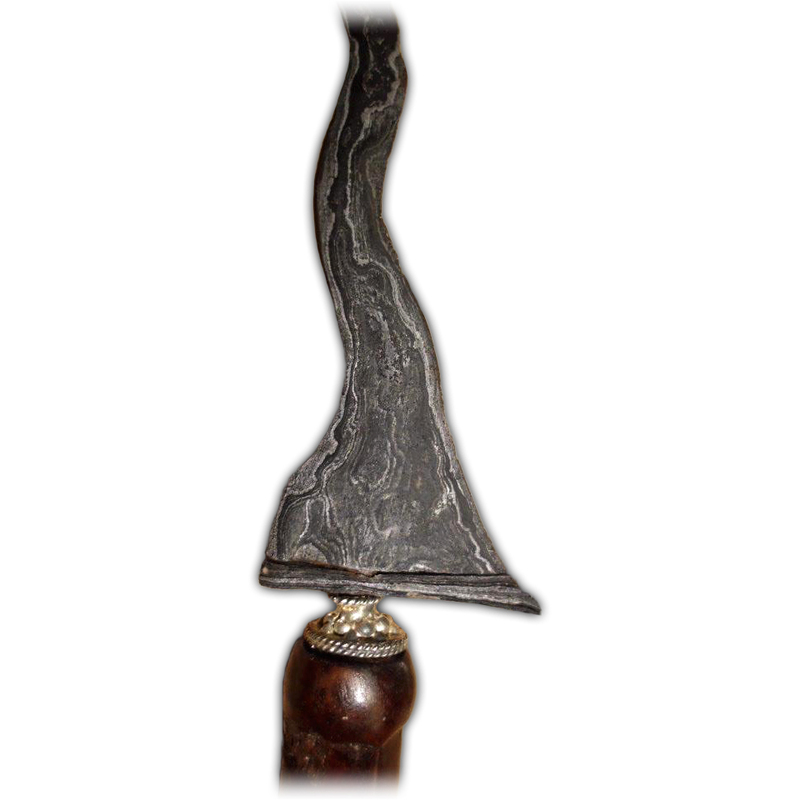 In addition, the exquisite warangka sheath of this antique keris is hand carved from ancient Timåhå wood (Lat. Kleinhovia Hospita). This particular kind of wood is considered holy wood, for it is believed, that the Timåhå tree has a khodam spirit inhabiting it. 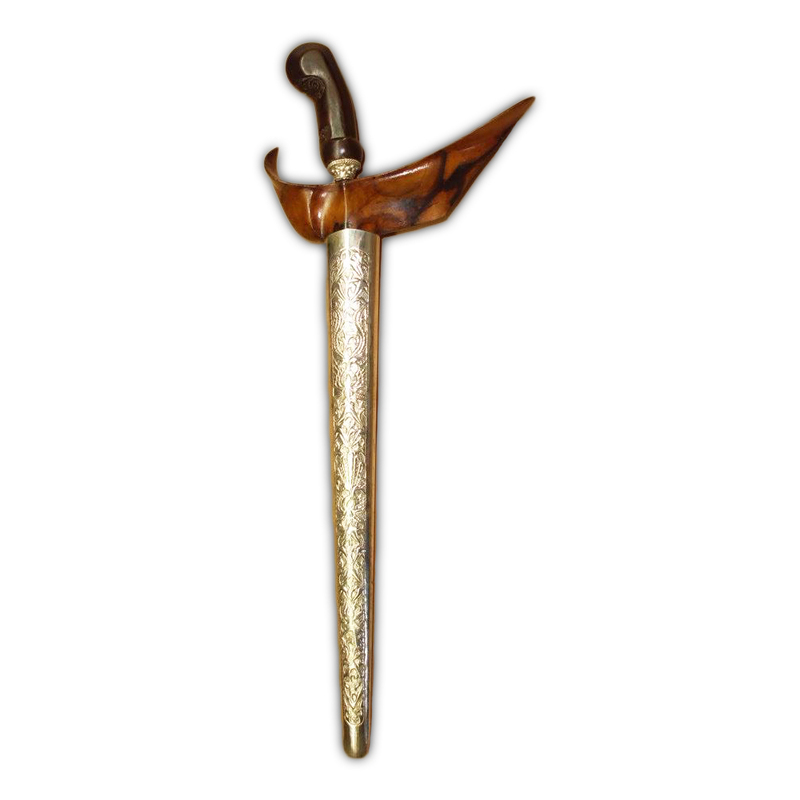 Consequently, the khodam spirit will assist to protect the owner of the keris, so that s/he will be kept safe from danger.